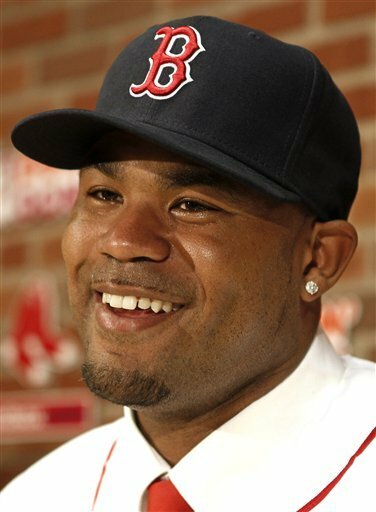 Benoit's great 2010 netted him a wealthy 3 year contract. On November 19th, the Detroit Tigers made the first big free agent splash of the 2010-2011 off-season by signing 33 year old relief pitcher Joaquin Benoit to a 3 year $16.5 million deal with 3-plus million dollars in incentives, a deal that could possibly be worth around $20 million by its conclusion. 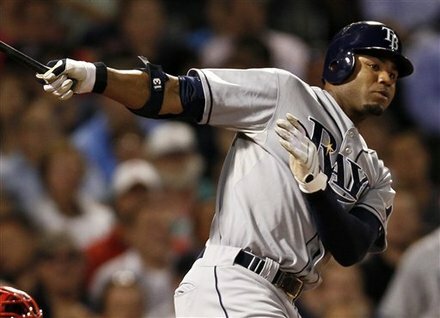 Benoit, who had a career year with Tampa in 2010, was coming off of surgery that caused him to miss the entire 2009 season when the Rays signed him to a minor league deal. The Dominican native rewarded the Rays with 60 innings of 1.34 ERA relief in 2010. Along with that, Benoit posted a high K rate of 11.19 per 9 innings and a freakishly low walk rate of 1.64 per 9 frames. Although his 1.34 ERA is unsustainable in the future, Benoit’s high K rate and low walk rate are reasons to be optimistic about Benoit’s next three years in the bullpen. However, just how optimistic should you be about a 33 year old relief pitcher with arm issues in the past that just came off a career year in which he was uncharacteristically lucky? Apparently, really optimistic if your name is Dave Dombrowski. Matt Thornton has been baseball's most consistent setup man in the past three seasons. I understand that the Tigers had around $70 million coming off the books and they can spend their money however they like, but that doesn’t mean you go out and overpay a reliever, especially one that is almost 35 who just came off an arm injury. Whether or not this deal made sense is one thing, but how it affects the rest of the market is another. Had Benoit signed a bit later, guys like Scott Downs, Matt Guerrier, and Jesse Crain might not have gotten 3 year deals in the 8 figure range. Nevertheless, the Benoit deal was a precedent and it gave the aforementioned guys a lot of bargaining chips, resulting in some fairly risky deals. As most people know, middle and setup relief pitching always fluctuate on a year to year basis. The explanation is simple. Relief pitchers pitch less innings and one year, they may get lucky and the next, they may not. This is mostly because relievers are failed starters who have their faults and those faults could be exploited given the correct sample size. However, there are constants, albeit very few. Here the top 8 relief pitchers (non-closers) who have been consistent and efficient over the past three years (WAR dollar values are in parenthesis calculated at 4.33 million dollars per win). Matt Thornton – 200 IP, 2.7 ERA, 2.46 FIP, 6.6 WAR ($28.6 MM). Hong-Chih Kuo – 159 IP, 1.75 ERA, 2.18 FIP, 4.7 WAR ($20.4MM). Grant Balfour – 181 IP, 2.98 ERA, 2.94 FIP, 4.2 WAR ($18.2 MM). Darren Oliver – 203 IP, 2.71 ERA, 3.18 FIP, 4 WAR($17.3 MM). Ryan Madson – 213 IP, 3 ERA, 3.11 FIP, 3.8 WAR ($16.5 MM). Mike Adams – 169 IP, 1.81 ERA, 2.49 FIP, 3.8 WAR ($16.5 MM). Rafael Betancourt – 189 IP, 3.9 ERA, 3.33 FIP, 3.6 WAR ($15.6 MM). 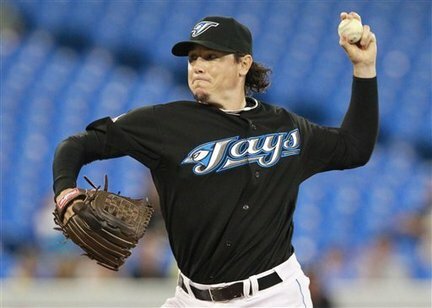 Scott Downs – 179 IP, 2.42 ERA, 3.25 FIP, 3.5 WAR ($15.2 MM). From this list we can see only two relievers, Thornton and Kuo, have been worth more than $20 million in WAR value over the past three seasons. Although the rest of the guys on the list are all very good relief pitchers, most of them don’t come all that close to the $20 million mark that Benoit will get if he gets all his incentives. This year, the estimate is that a win above replacement is worth around $5 million. If we don’t put inflation into the calculation (for simplicity sake), that pretty much says Benoit needs to put up at least 3-4 WAR over the next three seasons in order for the Tigers to break even on their contract. But what about all the other multi-year deals these other reliever signed? Here’s a breakdown. Matt Guerrier – 3 years (2.4 WAR expected, 0.2 WAR over last three seasons). Jesse Crain – 3 years (2.6 WAR expected, 1.7 WAR over last three seasons). Bobby Jenks – 2 years (2.4 WAR expected, 1.9 WAR over last two seasons). Scott Downs – 3 years (3 WAR expected, 3.5 WAR over last three seasons). 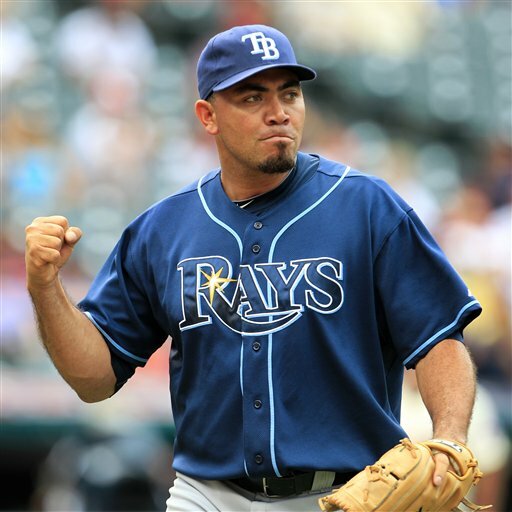 Joaquin Benoit – 3 years (3.3 WAR expected, 1.3 WAR over last three seasons). Downs was the only free agent reliever who signed for a fair amount given his value in the past three seasons. So from the looks of this, every team might have overpaid for their relief pitcher with the exception of the Angels with Downs. Although some of these figures are very, very close, we all have to realize that we must take regression into account for every one of these guys. None of the listed pitchers are all that young and they’re all starting to reach their 30s or mid 30s. So regression is not out of the picture at all. The inflation I didn’t take into account could possibly offset some of the regression (since each win will be worth more as time goes on), but in the end, the point is that most of these relievers got overpaid, mostly as a result of the precedent set by Benoit’s deal. It’s very hard to find good, consistent, middle relievers and setup men these days. That was shown through the first set of relievers I listed. You’ll be hard pressed to find more than 15 non-closing relievers who can average a WAR of 1 or above in a three year period. Perhaps that’s why Dombrowski and the Tigers front office went all out to get Benoit. Maybe they saw how important a good back end of the bullpen is through teams like the Padres and Rays. Whatever they saw or thought, I still don’t think they made the best of moves by overpaying Benoit and setting a bad precedent. Because now a handful of other teams are stuck with some risky contracts as a result. Not to mention the Tigers are stuck with a $16.5-20 million commitment to a 33 year old reliever. The Winter Meetings. The Recap. The Winter Meetings are now over. And a grand total of 50 players switched teams and organizations. Not counting the Rule 5 Draft. Let’s recap! 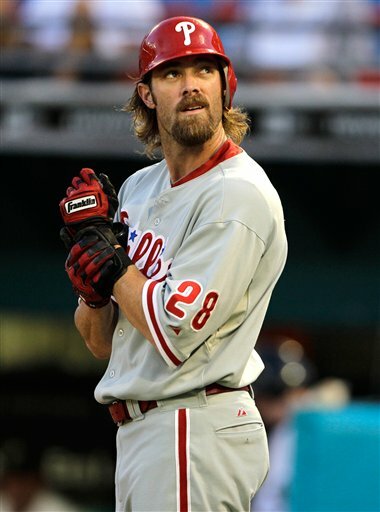 Werth's $126 million deal started the barrage of moves at the winter meetings. 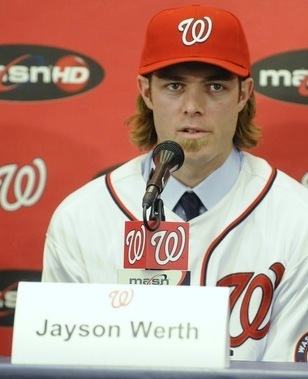 We all know about Jayson Werth’s mega deal. He’ll be getting $126 million over a 7 year span. He’ll be getting the big bucks from the Nationals until he’s 39 years old. It’s hard for me, personally to be upset about this move for either parties. Jayson Werth gets to be a part of a great young core that will consist of Stephen Strasburg, Bryce Harper, Wilson Ramos, and Jordan Zimmerman. And the Nats get perennial 30 home run power, good defense, and good speed. It’s to big of a contract, but let’s be real. The Nats weren’t going to get anyone close to Werth’s skill, without paying big bucks. The Red Sox also had a big week. 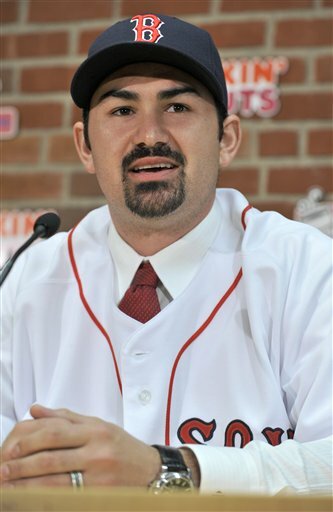 They acquired Adrian Gonzalez, but had to give up top prospect, Casey Kelly to do it. This also involves a shady handshake deal. After Opening Day, Gonzalez will sign an extension. 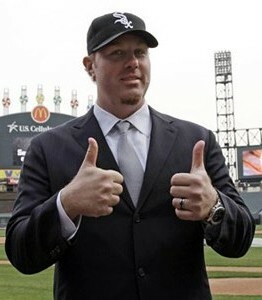 This way the Sox don’t have to pay the luxury tax. They also got Carl Crawford. 7 years, $142 million. This is a much better deal than Werth. Crawford is younger, better, and has been better for longer. In a surprise move, the Blue Jays sent Shaun Marcum to the Brewers, and got Brett Lawrie. Good for both teams. Toronto needed a middle infielder, and the Brewers needed good pitching. Seattle fixed their catching problem with Miguel Olivo, who was behind the plate when Greinke had his great 2009 season and when Jimenez had his dominant first half. It makes me wonder what Felix Hernandez will do next season. They also got middle of the road slugger, Jack Cust. The Red Sox one-upped the Natonals' signing of Werth by signing Crawford to a $142 million deal. The Padres got Jason Bartlett from the Rays, a long with Casey Kelly and power hitting first base prospect, Anthony Rizzo. The Pirates continued their love affair with mediocre starting pitching, after signing Scott Olson. They also ended up with Matt Diaz, Kevin Correria, and Cesar Valdez. The Phillies brought in Dennys Reyes and Brian Bass. Very much a pair of “meh” moves. But they don’t have a big laundry list of things to do this off season. The Minnesota Twins got a pair of relievers for J.J. Hardy. Brett Jacobson and Jim Hoey. I don’t expect to see either of them in the majors this year. The Brewers got Shaun Marcum, as we already covered, and Wil Nieves from the Nationals. Washington is feeling pretty good about their catching duo of Ivan Rodriguez, and Wilson Ramos. The Dodgers have apparently grown weary of Matt Kemp’s defense in center. They have brought in leather specialist Tony Gwynn Jr. and Trent Oeltjen. They also signed Dioner Navaro to replace Russell Martin behind the plate. 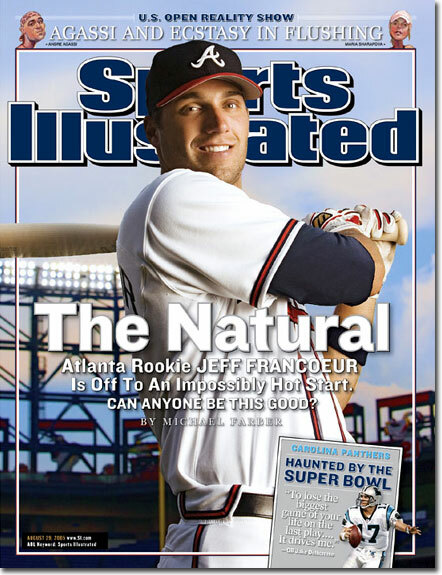 Remember This SI cover? 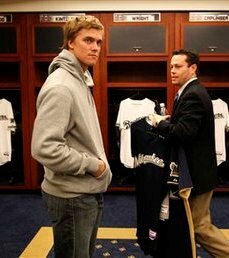 Looks like Dayton Moore's one and only love is now in his hands. In a very Dayton Mooreish move, Melky Cabrera and Jeff Francouer are both now members of the Kansas City Royals (both former Braves!). Apparently the Royals have given up on 2011 already in 2010. Either that, or they like doing the Tigers, the Twins and the White Sox favors. The Houston Astros acquired the the Ryan Rowland-Smith. The Australian native seems to be lacking an identity, and has been bouncing back and forth between the rotation and the bullpen, and this last year, he may have been the worst pitcher in the game. Good luck to Houston and Rowland-Smith. The Detroit Tigers picked up two pieces. Chris Oxspring from the Padres. Oxspring is a 28 year old reliever who made his debut this year. He’s always been a middle of the road pitcher, but he will strike you out. Then he’ll walk you. They also picked up Omir Santos. Santos is a catcher, who is a lot like most back up catchers. Good glove, bad bat. His bat is so bad, that he might as well be swinging a broomstick. The Colorado Rockies signed super utility man, Ty Wiggington to a $8 MM contract for 2 years, and a club option for an third year. Wiggington can play every position other than catcher and pitcher. But, he cannot play them well. Good signing for the Rockies, as Wiggington’s bat plays very well as an off the bench utility option. Cleveland acquired back up catcher and first baseman, Paul Phillips. Phillips has never played in more than 30 games since his career started in 2004. With Crawford and Gonzalez, the Red Sox have one of the best lineups on paper in all of baseball. The Chicago Cubs signed first baseman, Carlos Pena. It’s a one year deal, and it’s around $10 million. Pena is seeking to fix his reputation after posting a sub-Mendoza line 2010 season. He also gives the Cubs a monopoly on Carloses. Good luck with that, Cubbies. The Baltimore Orioles robbed the Minnesota Twins by getting J.J. Hardy for a pair of relievers. They also got power hitting, strike out record setting slugger, Mark Reynolds. Also, Brendan Harris will be wearing orange and black. Maybe Buck Showalter can teach him how to do something. The Atlanta Braves have a LOOGY in George Sherrill. Sherrill is coming off his worst season in 2010, but should be able to bounce back. And finally, the D’Backs have a closer in J.J. Putz, a third baseman or first baseman in Melvin Mora, a reliever in Kameron Mickolio and a pitcher in need of a role in David Hernandez. It was a very, very busy three days in Orlando, and some teams got better (Baltimore, Boston, Washington and Milwaukee) and some teams got worse (Minnesota, Kansas City, and Pittsburgh). 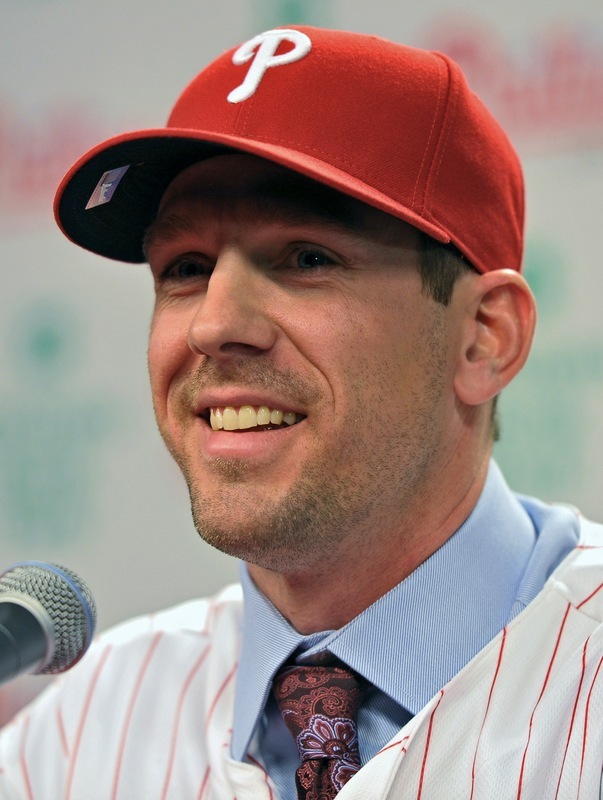 We are still waiting on decisions from Cliff Lee and Carl Pavano, but other than that, most of the drama from the off season is over. Only 72 days until pitchers and catchers report!